The first local potatoes of the year from the Combermere market. I always forget just how special the first potatoes are. They’re crisp and they make a snapping sound when I cut through them. And the taste is like nothing else in the world. So good. So sweet. 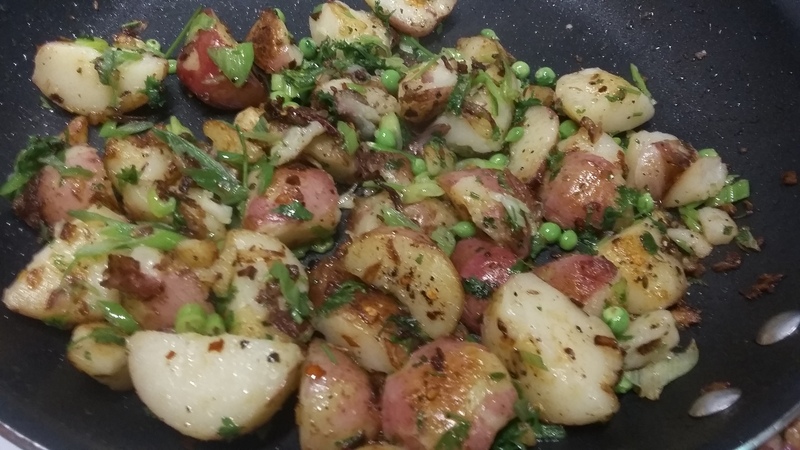 I added some local peas and other yummy things. Boiled, cooled, then fried in butter. To make it even more special, I get to enjoy them at the cottage alone. A rare treat these days. A great way to start a week of vacation. Tomorrow I head to Haliburton for a week of spinning school. Happy summer!